Sierra Nevada Corp. will occupy 101,000 sf of space developed by Etkin Johnson Real Estate Partners. 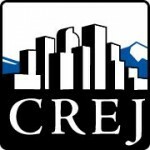 Etkin Johnson Real Estate Partners, a Denver-based developer, has leased 101,000 square feet of industrial space to Sierra Nevada Corp. The speculative flex building, located at 2000 Taylor Ave. in the Colorado Technology Center in Louisville, was completed in late 2016. The facility has an environmentally friendly design including green features such as an energy efficient HVAC system, skylights to provide tenants with daylighting, electric-vehicle charging stations as well as exterior LED building and parking lot lighting. Solar control Low-E glass and a GenFlex cool roof system will reflect heat away from the building to reduce energy consumption and cut utility costs. The lease of 2000 Taylor also triggered the construction of 633 CTC Blvd., a 153,018-sf energy efficient building that will be available this summer. The project sits on a 12.2-acre parcel purchased by Etkin Johnson in 2015 from Hill Properties for $1.975 million ($3.72 per sf). Once complete, the building will have similar environmentally friendly features as the 2000 Taylor Ave. building, and also include 24-foot clear ceilings, 23 dock-high doors, five drive-in loading doors and ESFR sprinklers. Sun shelters and picnic tables will also be installed to allow tenants to maximize access to the area’s natural setting. Etkin Johnson currently owns more than 1 million sf of office/flex/industrial space plus more than 30 acres of land improved for flexible build out in the CTC.